Our Senior Editorial Consultant Maria Pinto recently spoke with Meitner about her book, as well as strip malls, Frank O’Hara, and America’s ideological bifurcation. MP: Holy Moly Carry Me took me road tripping across America, just before the apocalypse, now and yesterday, towards another fraught family holiday. Why does so much of the moment you captured, that the poems continue to capture long after we put down the book, take place on the road and in the parking lots of strip malls? EM: Part of this has to do with the weird logistics of my writing life. Since I’m an academic, I write most of my poems during breaks between semesters. 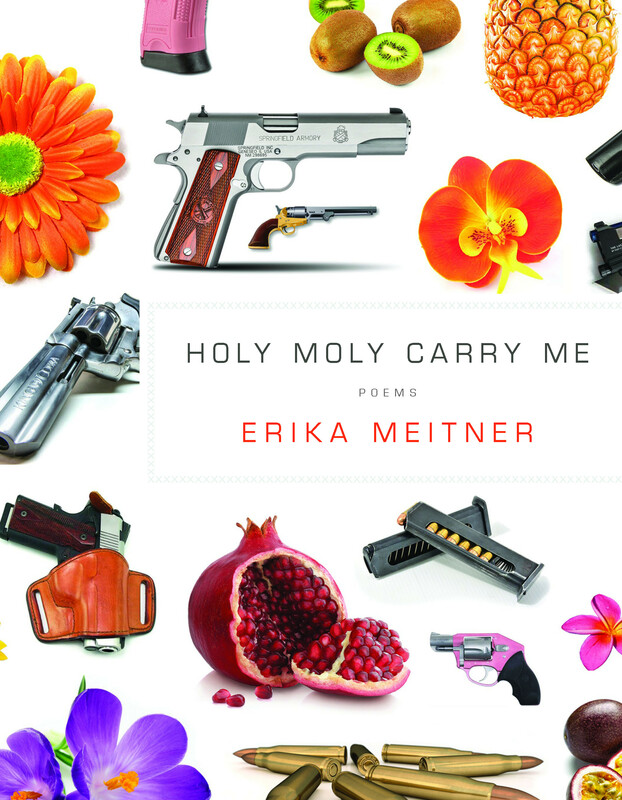 Much of Holy Moly Carry Me was written with an online writing group I’m a part of, where we convene for two or four weeks at a time and write a poem a day, then post our poems in a Google group for accountability. We often do this over winter break and in the summer months when I’m usually road-tripping to see family, so many of the poems were written while I was in the car, on my iPhone notepad. But also, I live in a semi-rural college town where most of our landscape (aside from mountains and farmland) is made up of strip malls and big box stores—like most of America. And I was tired of ironing out these landscapes from my poems because they seem “unpoetic” (whatever that means). MP: All of these scenes and themes recall the idiosyncratic ways we, as citizens of this America, are called to remember and forget: a frustrating and omnipresent blankness, stuttering to a stop and getting picked back up again in the next installment (at one point, the first poem in the collection gets picked up halfway through the book), erasures that you can still see, tattoos and tattoos, reality show templates that get reused, messy forensics and the burden of proof, a cop waving us past today’s tragedy with light batons, towards the next. What is the poet’s role in preserving our collective memory? That ability to create a lyric moment and bring readers backwards and forwards in time at once, and then stop it—that’s what I love about poems. Poets preserve the collective memory of emotions, and emotions are messy—they repeat and repeat on us, get erased and recast by narrative and image, and they’re imprinted on us indelibly and shiftily.